Did you know that maintaining optimum oral health is just as important for children as it is for adults? It’s true! Your child should be visiting the dentist every six months just like you do, starting around the age of one year old. There are also many things you can do at home to help them improve their dental health. 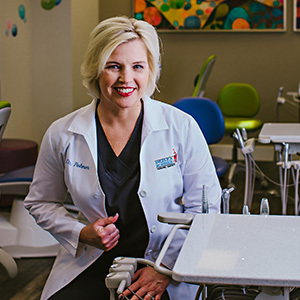 Here are some dental hygiene tips from your Birmingham pediatric dentist, Dr. Angelica Rohner. Teach your kids the 2-2 rule when it comes to brushing their teeth. This reminds them to brush twice per day for two minutes each time. You can make it more fun by setting a timer that tells them when two minutes is up. Flossing should take place at least once per day. You’ll need to help your child brush and floss their teeth until around the age of 6-7 years old. Consistent brushing and flossing is the first step in encouraging prevention, the next step is regular dental visits to Dr. Rohner. When your child comes in for their routine checkup and cleaning appointments, we’ll screen them for issues such as tooth decay and gum disease. Catching these conditions early on results in less invasive treatment for your child. Dr. Rohner, your children’s dentist in Birmingham, may recommend additional preventative treatment such as dental sealants to coat and protect small teeth from tooth decay. Fluoride treatments help build and strengthen your child’s teeth. For our young patients who participate in sports, Dr. Rohner can help determine the right mouth guard or protective wear for your child. Not only is this excellent for your child’s overall health and well being, it’s also beneficial for their oral health. Eating fruits and veggies actually helps to neutralize the acids in your mouth that cause tooth decay. They also increase saliva flow, which is a natural way to wash away food debris, bacteria, and other particles in your mouth. Dr. Rohner and her dedicated team love children! We want to make your child’s visits to the dentist exceptional with the goal that they will look forward to their dental appointments. We take the time to educate your child about the importance of their oral health in order to set the foundation for pleasant future dental visits. Give us as call today to schedule your child’s next appointment.